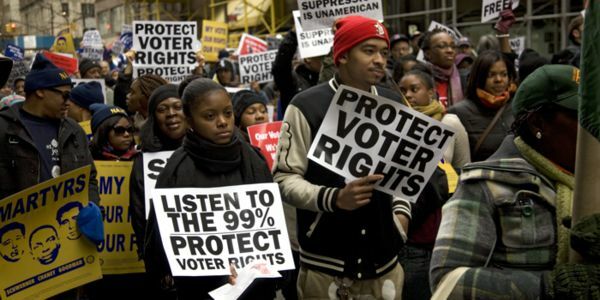 The right to vote is under threat: eroded by egregious voter ID laws, gerrymandering, and false information about voter fraud. African-American and Latino voters are particularly at risk. And midterm elections are only a few months away. It's time to stand together and challenge these persistent attacks. Pledge to stand with the NAACP Legal Defense and Educational Fund, Inc. (LDF) in support of voting rights now.